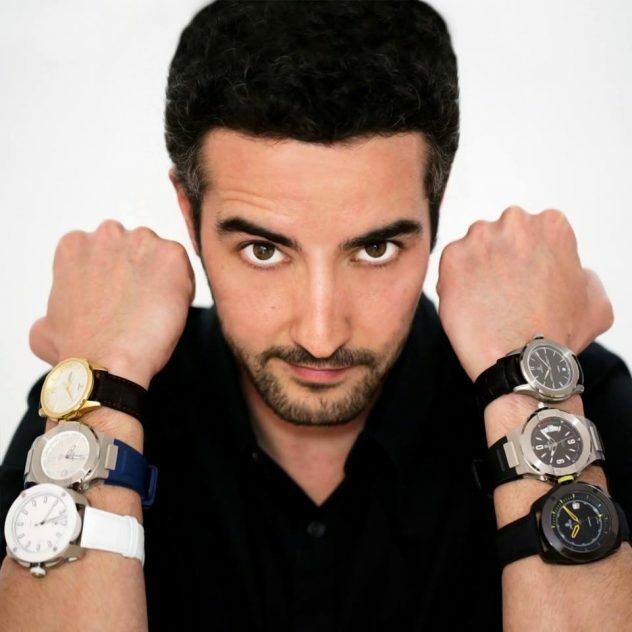 DWISS was created in 2011 by Rafael Simoes Miranda, a Brazilian born naturalized Italian designer, who has been designing watches for over a decade now, with a portfolio of more than 300 different watches designed for 15 different brands, awarded with important international design awards, like the Red Dot Design Award. 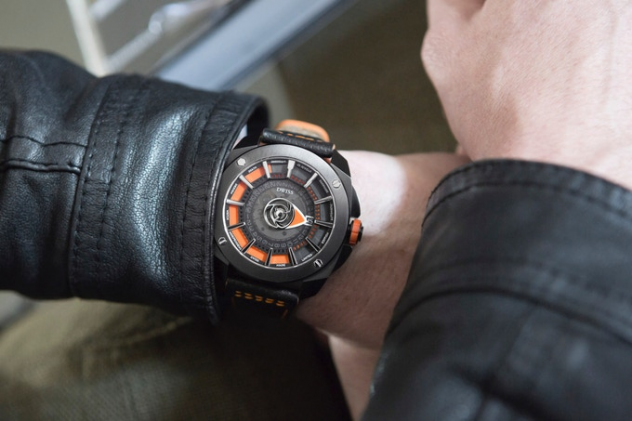 DWISS (Design Watch Independent Switzerland) offers premium watches with a world-class design at reasonable prices – combining Swiss watch engineering, precision and quality. DWISS has been in the market for almost 7 years and has presented in several of the most important watch fairs worldwide such as BaselWorld (2014 and 2015) and Hong Kong watch and clock fair (2014 and 2015). DWISS has won an IDA – International Design Award for producing the very first Niobium (Nb1Zr) watch in the world (a rare and strategic metal). And in 2017, more awards have been won by the Swiss brands… Indeed, two new awards for the Model DWISS M2, second time for the IDA award and the first time for the ePDA (European Product Design Award). The young Swiss microbrand is using pioneering materials along with creative and complex engineered constructions; DWISS produces innovative, limited edition luxury watches with the highest-grade Swiss mechanical movements and craftsmanship. They are the pioneer for the use of Niobium (Nb1Zr) in watch cases. 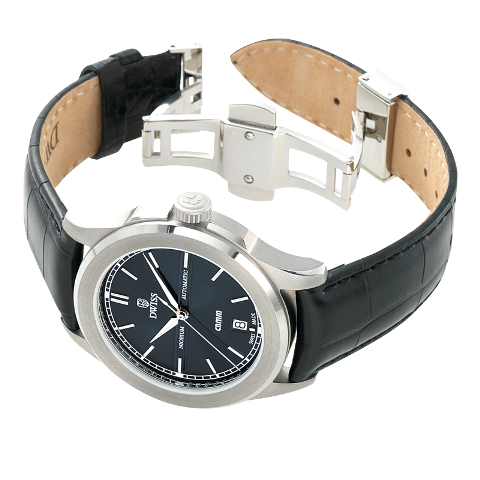 They developed the first ever made Niobium watch case watch for the model CLASSIQUE CBMM, exclusively for the Brazilian mining company CBMM. This year they introduced, in partnership with e-Motion-Niobium project, the new model called DWISS C2. An automatic Swiss made watch with 42 hours power reserve and a case made of Nb1Zr (99% Niobium 1% Zirconium). Limited Edition to the same atomic number as Niobium, only 41 watches will be ever made. DWISS M2 is two-time award winner watch with an innovative time reading system. The hours are represented through a disc that runs under the multi-layered dial and fulfil the hour’s windows with a colourful continuous rotation disc. They used a simple movement (ETA 2824-2) to create a “complicated” timepiece, without using expensive techniques to change the movement itself. This bold eccentric Swiss made watch is made in 316L stainless steel. Composed of 9 parts in a complex construction fixed by the side screws and is water resistant to 10 ATM. 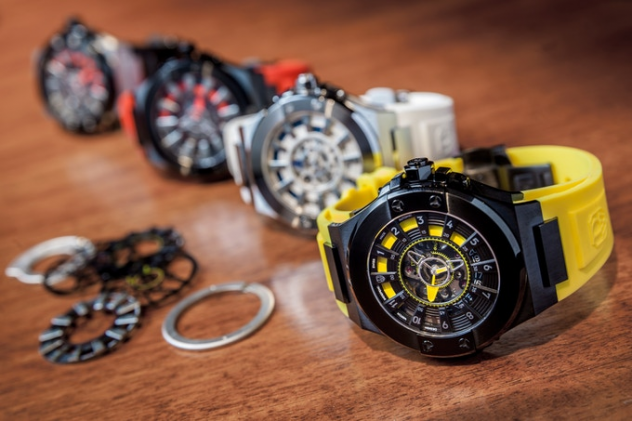 The Swiss brand launched some of their timepieces directly on Kickstarter, in order to offer it at the best price possible to their customers. We can be impressed as every time it’s a big success. One of the pieces I really like has been launched in March 2017. This is the R1 model which is a real stunner. For this one, they used their innovative time display system. The system which was awarded two times in 2016, and one of the awards was granted at the European Parliament in Brussels. They are bringing back this system in one of their two new collections – RS1. The second one has a totally new display system – RC1. The collections are called DWISS RC1, a classic looking model with a centralized hour disc at the 12 o’clock mark, and DWISS RS1, a sporty collection that uses the DWISS signature time reading system. The watch itself is a 43mm diameter case, water resistant to 100M, and equipped with a Swiss ETA 2824-2 movement. There’s a lovely engraved rotor, and display caseback as well. Both the back and crystal are sapphire, as they should be, and the crystal is coated on both sides with anti-reflective coating. DWISS has put together a stunning set of watches that will help you stand apart from all the rest. Well, all their watches are built for the people who understand and appreciate the art of watchmaking and design and who seek an exclusive and innovative Swiss automatic watch.